October 26, 2016 By This post may contain affiliate links. 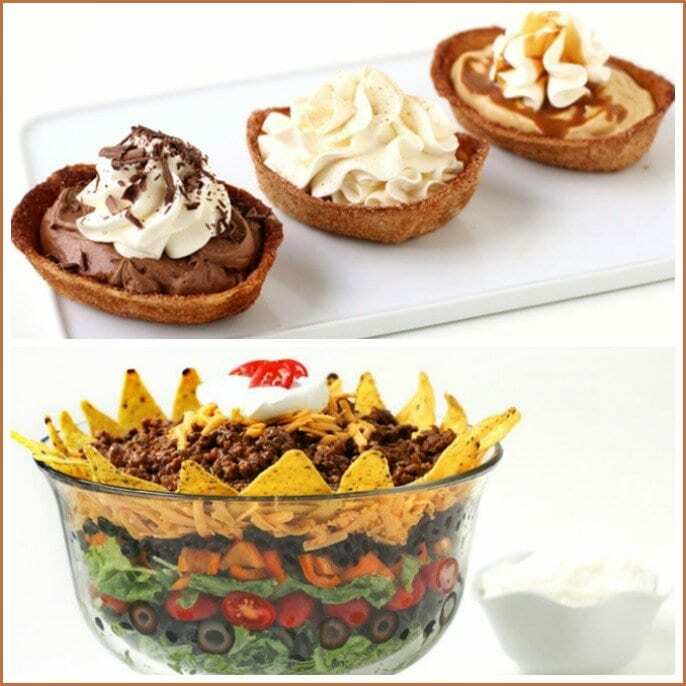 Turn any night into a fiesta by serving Churo Bowls filled with Mexican Hot Chocolate Mousse, Cheesecake Mousse, or Dulce de Leche Mousse and a Mexican Layer Salad. Does your family love Mexican food? Mine does, so when I invite them over for dinner we often have Mexican food. I have to admit though that I don’t usually get very creative with the menu. We usually have enchiladas and a taco bar. I figured next time they come over I might just have to mix things up a bit and try something new like these two recipes. 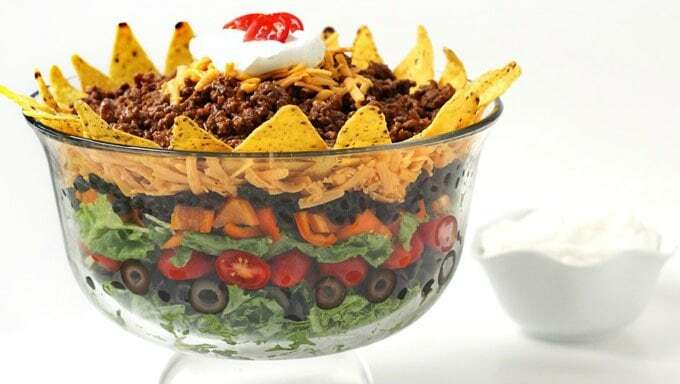 This Mexican Layer Salad with colorful layers of lettuce, olives, tomatoes, peppers, beans, cheese, tortilla chips, beef and sour cream served in a trifle bowl is easy to make and looks really festive. It’s quick and easy to make too. The thing I like best about this is that there will only be one bowl to clean up after dinner. That’s a big bonus when I’m hosting a family dinner. If you like that idea too, you can find the recipe for this Mexican Layer Salad, here. For dessert, I’ll be making these crispy Churo Bowls. Each bowl is made by baking a tortilla boat which has been coated in cinnamon sugar. Each crunchy bowl can be filled with one of three fillings. The dulce de leche mousse is a super simple 3-ingredient treat that goes perfectly with the cinnamon sugar coated tortilla. It’s rich and creamy and has a lovely caramel flavor. 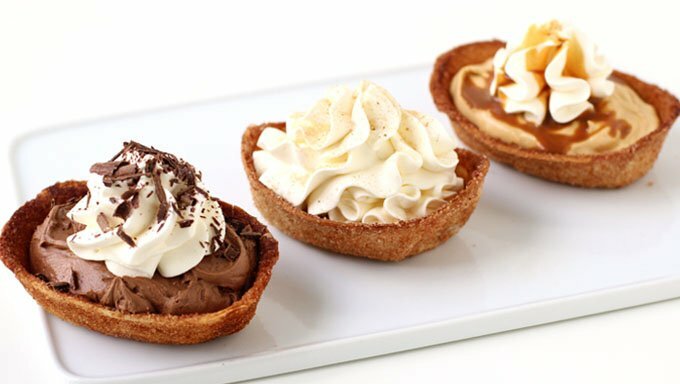 The Mexican Hot Chocolate Mousse has a delicate chocolate flavor with a hint of cinnamon and the cheesecake mousse is silky and smooth and so easy to make. You can find the filling recipes and the churo bowl tutorial, here. That salad looks so fun and festive, love seeing the layers through the glass bowl! And those churros? Fax me one please!